Fancy Yourself as the next Lionel Messi or Phil "The Power" Taylor - Well Foot Darts is the game for you. 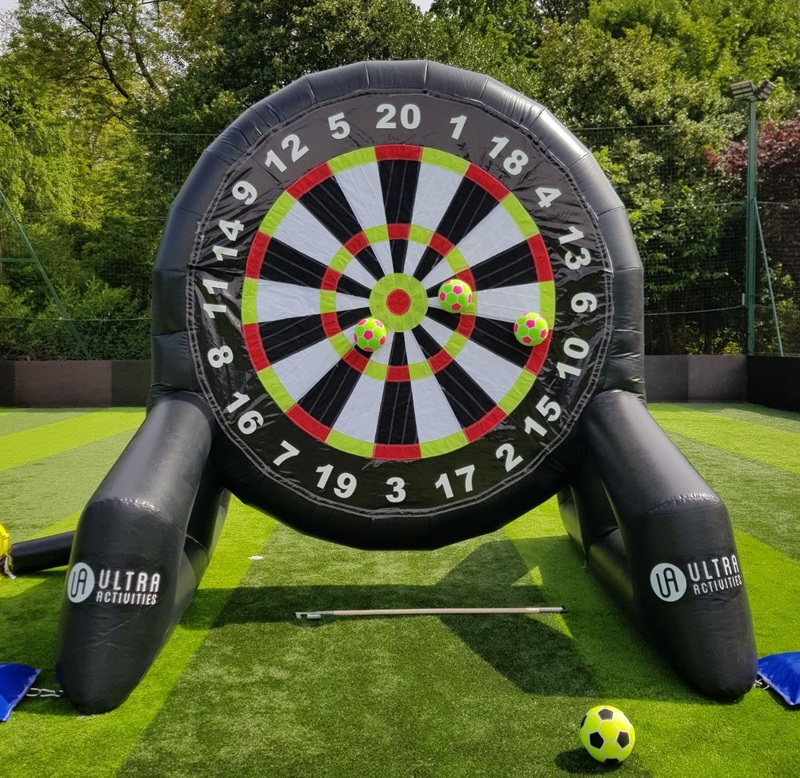 Foot Darts is our new & most addictive game yet, it will bring out your fun and competitive side with a penalty shoot-out style game without a goal or goal keeper...you'll be aiming towards a giant inflatable dartboard. Like any game of football or darts it always starts with some warm-up shots. Each player will have a few shots each at trying to hit the board getting the feel for the game. No scores are recorded during the warm up. Each player has 3 shots each at hitting the board whilst trying to score the highest number possible. Person with the highest score after the 3 shots wins. This game consists of all players having 3 balls each and trying to work their way round all the numbers on the board starting from the number 1 then finishing on the bulls eye. The format will continue until a player makes their way to the end. Each player has 1 attempt at landing the ball on a higher or lower number than the player previous. The game rotates until all players are elimanted. Each player has 3 lives each. Same format as Higher Or Lower only the player choses between Red or Black on the board. 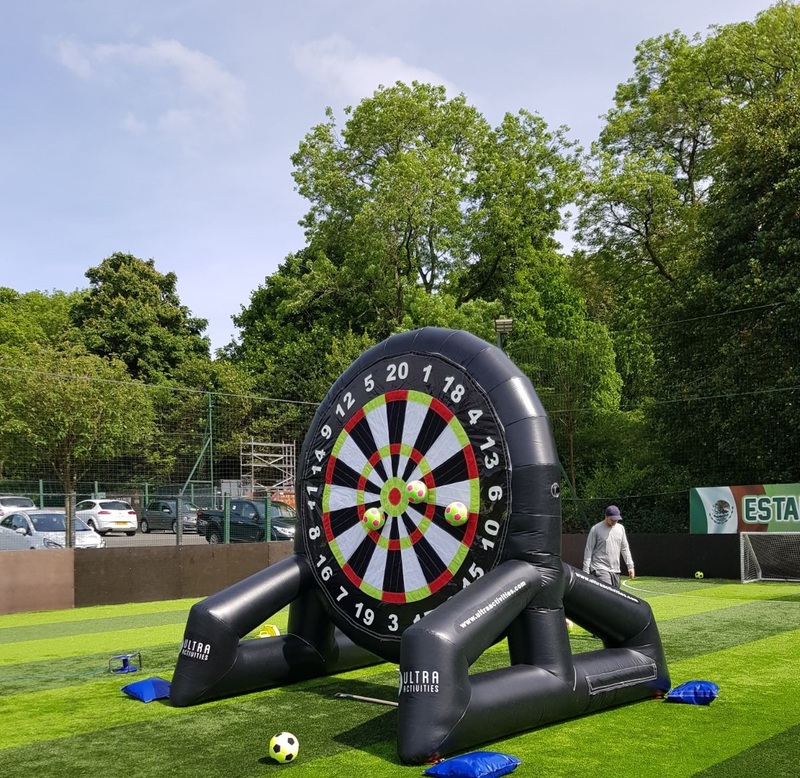 Football Darts is a great game for any event including Stag/Hen Doo's, Team Building & Corporate Events, Kids Birthday Parties and Gala Days. All our Foot Darts events are professionally organised and hosted with fun filled laughter from start to finish ensuring that your special event is one to remember.